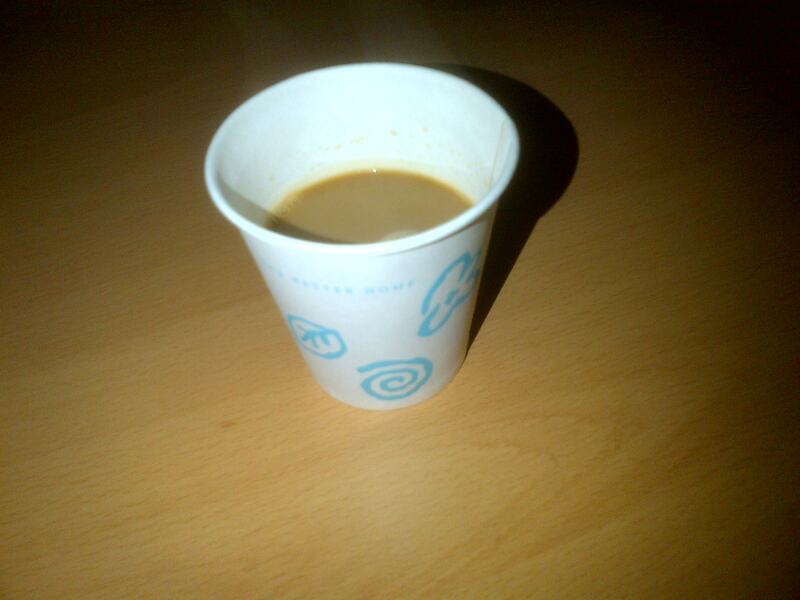 Last week I was introduced to instant coffee, Korean style. Now, I’m no coffee junkie, and I generally avoid the stuff unless I know who’s making it, but it had been a long week and I needed my caffeine fix. Yay for saying yes to coffee, as I was instantly hooked. I’ve been told that this is not the best instant coffee on the market, which makes me very happy, as it’s damn good stuff! I’m no fan of 3-in-1 sachets in general, but maybe I’m just desperate for anything Western-ish. 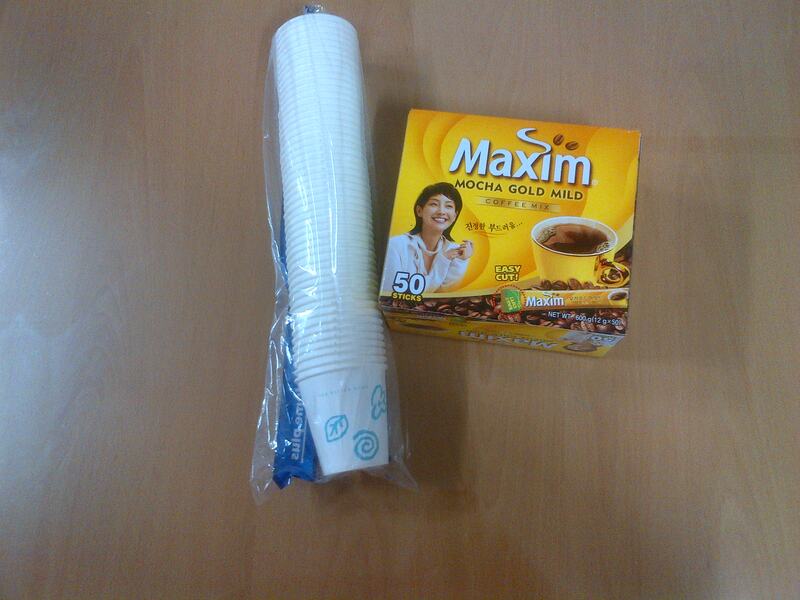 As luck would have it, HomePlus had marked down both the coffee and the paper cups I’d need to bring the magic home. Now that’s a sign if ever there was one! Today was the day. I just couldn’t hold out any longer. 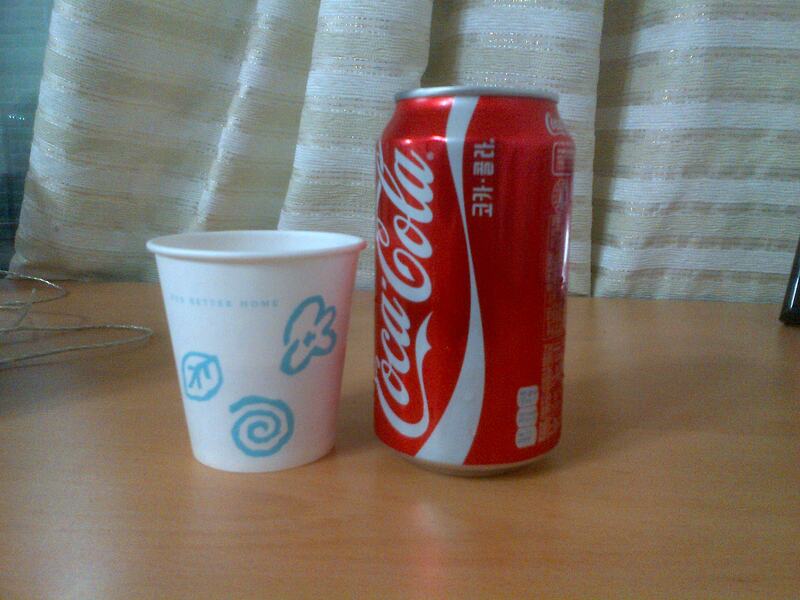 Size comparison between a standard Coke can and the cup. Now maybe I should have mentioned that the cups aren’t very big. Maybe the novelty is half the appeal. I’m just digging the fact that I can get my coffee fix in small doses. Ah yes, take in that steamy goodness! And did I mention the cup is only filled half way? It’s the perfect coffee serving size! Instant coffee, Korean style. My small pleasure.